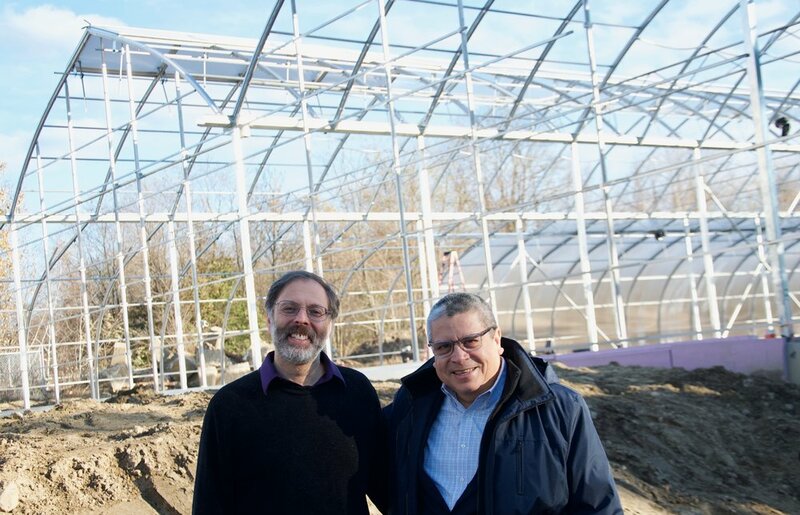 LEAF has been closely following the progress of Wellspring Harvest Greenhouse, the Springfield-based worker cooperative hydroponic greenhouse that will be providing fresh lettuce to local hospitals, schools, and grocery stores. In late 2017, Wellspring Harvest held an event to celebrate the construction progress so far and give thanks to the community who supported and helped finance the initiative. Last week, the roof was installed successfully. The greenhouse hopes to start its first harvest cycle in the spring. The initial five employees have been hired, and fresh produce is right around the corner. LEAF looks forward to providing more updates on the project over the course of this year. The Wellspring Cooperative Corporation is a non-profit that is building a network of worker cooperatives in Springfield, MA. Along with the greenhouse, they have also developed an upholstery business and a sustainable window restoration co-operative. To learn more about Wellspring’s co-op development in Springfield, we recommend this recent profile in Commonwealth Magazine—look for some comments from LEAF’s Executive Direct (pictured left).